Billed as a ‘subtly perplexing way to disorientate grandparents or amuse mates’, the T-Shirts Trilogy from Twisted Tee certainly scores high on entertainment value. 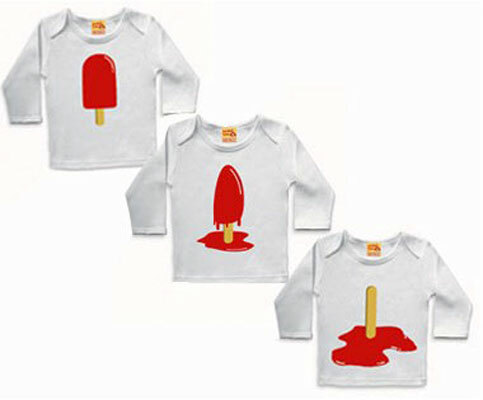 It’s a set of three t-shirts with sequential illustrations which would also prove useful on those days when junior requires multiple changes of clothes. The Lolly set comes in sizes 6-12 & 12-24 months and 2-3 and 3-4 years.and comes packed in a printed canvas bag, so would make a great gift. It costs £40, check it out online here.